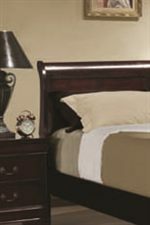 The perfect companion to your bed, this night stand has two drawers that are great for storing TV remotes, books, magazines and other small items. Place a lamp on top for convenient nighttime reading, and set down a glass of water for that bedtime drink. 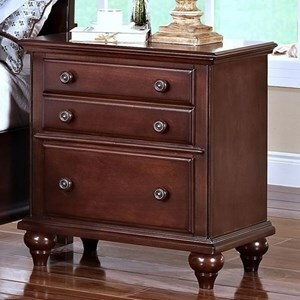 Add functional storage next to your bed with this two drawer night stand. 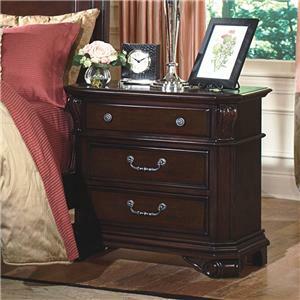 The Louis Philippe 2 Drawer Night Stand by Coaster at Casa Leaders Inc. in the Wilmington, Long Beach, Torrance, Lakewood, Los Angeles area. Product availability may vary. Contact us for the most current availability on this product. The Louis Philippe collection is a great option if you are looking for Traditional furniture in the Wilmington, Long Beach, Torrance, Lakewood, Los Angeles area. Browse other items in the Louis Philippe collection from Casa Leaders Inc. in the Wilmington, Long Beach, Torrance, Lakewood, Los Angeles area.